High schools across the region are having their proms this month. Some have already completed leaving many seniors looking forward to graduation. This time of year brings a transition for us. Instead of dresses going “out the door” they start coming “in the door” as the young ladies begin bringing their dresses to us for consignment. If you know you are going to consign your dress after prom be aware of how your movements and actions will affect the dress. Here are a few tips to ensure we can sell your dress when you bring it in. Clean. Dresses must be clean. This doesn’t necessarily mean take to the dry cleaners. It means check the dress for stains and discoloration. If you spilled something on it and it left a stain you may need to take it to the cleaners. Easy blemishes like makeup or body tanner may be easily removed with a baby wipe. Check the neckline for makeup. Check the armpit for sweat stains. If you wore body makeup or tanner check the interior of the dress. Any of these items will make the dress sell for less or unacceptable. Rips and tears. Check the bottom of the dress for rips or tears. If the dress was dragging it might have been ripped by your heels or have gotten caught on something that created a tear. This type of damage usually can’t easily be repaired. We price the dresses based on brand, color, size and condition. If you have the price tag bring it with you so we can use that for guidance. However, we still price most dresses at nearly half the retail price if they’re in good condition. Guess what the most common phrase is we hear when someone brings in a prom dress… “only worn once”. Shocker. 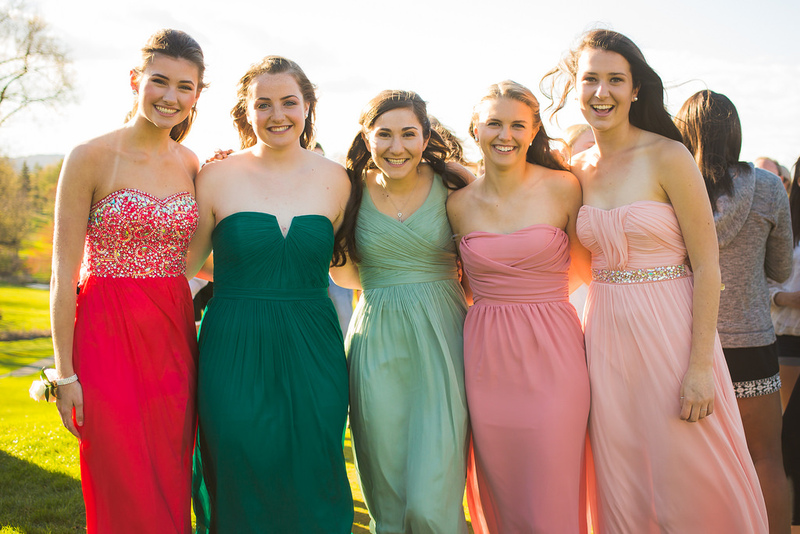 Most prom dresses are only worn once and for only a few hours. Some parents spend hundreds of dollars for their daughters new dress making the average cost of the dress nearly $100 / hour. There’s absolutely nothing wrong with that, however, when you bring the dress to us for consignment and the dress has been damaged with makeup, body tanner, stains from spilled drinks and torn across the bottom you’ve pretty much made that dress unsaleable. You’ve lost your investment in that dress. It’s not recoverable. Since prom season is almost over this means the selling season is winding down. If you bring your dress now it’s likely it won’t sell until next season. We do have shoppers that look for prom dresses year round but the peak of the season is January through April.